If all you knew about me was that I was a web developer and designer and I asked you what browser you think I use day-to-day, you’d probably say Chrome. Chrome is a massive force on the web, and for good reason. Google’s now dominant browser started life as a response to the bloated browsers on the market in the late 2000s, and in 2016 it remains the best browser on Windows and Linux. My work computer is a Windows machine and nothing else I’ve tried comes close to Chrome’s speed and feature set. But when I get home, I open my Mac and I don’t go to Chrome, my mouse goes straight to Safari. That’s madness, you say! Chrome is objectively better, you’ll say. It’s faster, you’ll say. You might get a little snarky and tell me Safari’s the new IE. If you want to appeal to my developer side, you’ll probably tell me that Chrome’s developer tools are worlds better than Safari’s. And I won’t fight you on some of those. Chrome’s developer tools are undoubtedly better, its much quicker to adopt advanced web technologies, and the extension ecosystem is far better than Safari. But here’s the thing, none of that is enough to get me all about the Chrome train for my regular browsing. Chrome’s aggressive support for new web technologies is admirable, but as an end user I just want my websites to load correctly, and they do so just fine in Safari. Additionally, while I do miss Chrome’s more extensive extension library, Safari has all the extensions I need and then some. I’ll absolutely concede Chrome wins in this area, but again it’s not a deal breaker. 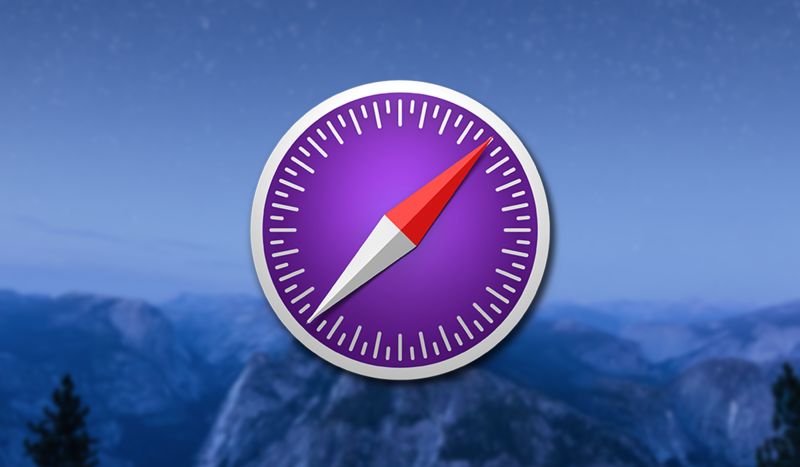 Below are the 3 big reasons I continue to use Safari as my default browser on my Mac. The number one thing I want in a web browser is speed. The faster I can browse the web, the better my entire experience is, so I always want the web browser that gets stuff done the fastest. In my experience it’s been Safari that just feels faster in day-to-day use. The browser feels more responsive when navigating the interface, scrolling through elaborate web pages, and just plain loading websites. In every test Safari performed 20-40% faster than Chrome. I simply was not able to find a single benchmark where Chrome outperformed Safari. Safari is a delight when moving between Apple devices. I routinely find myself browsing in the morning on my Mac mini and then going to work, want to pull up one of the websites I had on my Mac, and simply opening that in a new tab in Safari for the iPhone. It’s not just browser history syncing, there’s actually a list in Safari with all tabs currently open on all my iOS and macOS devices. It’s almost like they don’t want me to use it! This may be a little thing to some, but Safari just feels like a more Mac-like app than Chrome. This makes sense as Google needs to make Chrome’s interface consistent over macOS, Windows, and Linux, but having a UI that feels more native to macOS is always preferable. Chrome is in no way as bad as those Java apps from the mid 2000s that weren’t even close to the look and feel of OS X, but it’s still not ideal. A big part of my preference for Safari has to do with it’s economy of UI (ahem) chrome. Take a look at this screenshot to see just how much smaller Safari’s (back) top bar is compared to Chrome (front). I appreciate having that little bit of extra space for my content to go. But it goes beyond that, even. I hate the downloads bar that pops up at the bottom of my window when a download starts. Safari subtly shows the download status in the top bar and you can see details if you want it (and I rarely do). Finally, while Chrome makes no effort to conform to Apple’s system-wide sharing options, Safari plays nice and lets any app with a share extension receive web data easily. I save things to OmniFocus if I want to write about them later, I push pages to my work computer from home with Pushbullet, and I track my packages with Deliveries. Oh yeah, and AirDrop is a freaking great way to get stuff to my iPhone or iPad across the room. I don’t think that Safari is the best browser for everyone, and I don’t think Chrome is the only other game in town either. Some people love Opera, while others are getting excited for Vivaldi, and Firefox still has its supporters. But there is a mass of people who scoff at those who use anything besides Chrome, and I wanted to explain why some of us use it over the Goliath in the room. Chrome is great, but so is Safari. Chrome is absolutely better if you want a browser that is extendable, has bleeding edge web standards, and is a web developer’s best friend, I won’t fight you on those points. But if you want a browser on your Mac that is faster than Chrome, syncs better with your other Apple devices than Chrome, and has a better, more Mac-like UI than Chrome, then Safari is right there in your Applications folder.